LOVE a great denim jacket!! It works with everything!!! Love denim jackets! Great picks!! Denim jackets rock. They can change up the look of an outfit SO much! 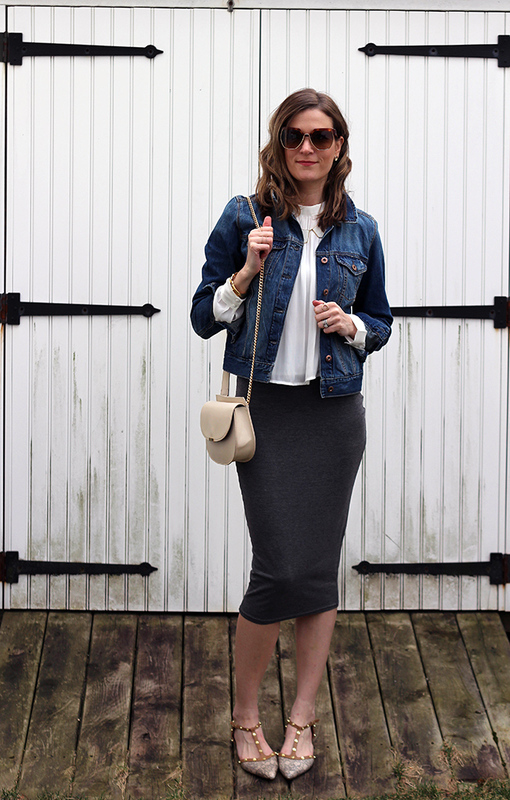 Lovely styling, this denim jacket looks so lovely on you! 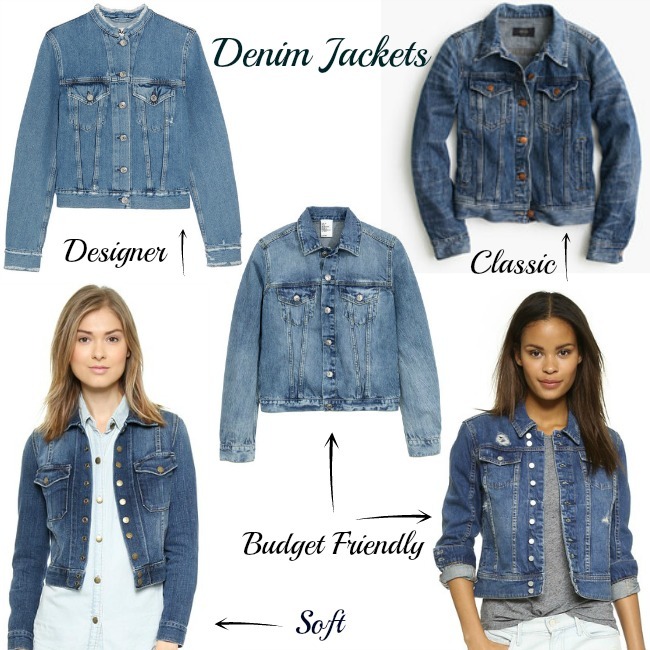 There's nothing better than a good denim jacket...total wardrobe staple! Love how you styled it. I am huge fan of a good denim jacket! In love with the way you styled this look and and in love with your picks! Oh - love both ways you've styled this! That gray skirt is gorgeous! So many great choices for a denim jacket! I wear my current one all the time and would love to get one in a lighter wash. My favorite is your first outfit with the white pants and striped blouse. Perfect denim jacket combo!! A denim jacket is definitely a must! I have the Current/Elliott snap and LOVE it! This is such a great classic look! A good denim jacket is a must, also is a good pair of white jeans. Love both outfits!! I like both looks, you look elegant in both of them.